Kick off your visit on the 2nd (Thu): pause for some serene contemplation at Parroquia Senor de Huaman, don't miss a visit to Plaza de Armas de Trujillo, delve into the distant past at Chan Chan, take in the architecture and atmosphere at Catedral de Trujillo - Catedral de Santa Maria, then delve into the distant past at Museo Huacas de Moche, and finally contemplate the long history of Huaca del Sol y la Luna. To find ratings, where to stay, and more tourist information, refer to the Trujillo sightseeing planner. Belfast, UK to Trujillo is an approximately 31-hour flight. 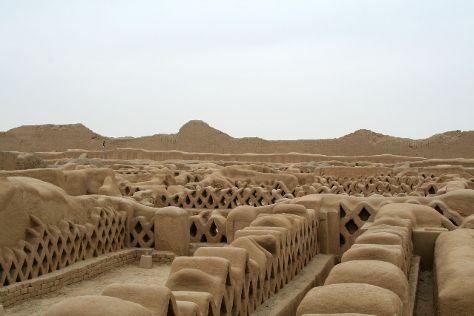 Due to the time zone difference, you'll gain 5 hours traveling from Belfast to Trujillo. Traveling from Belfast in August, plan for somewhat warmer nights in Trujillo, with lows around 18°C. Finish your sightseeing early on the 3rd (Fri) to allow enough time to travel to Cusco. Explore hidden gems such as River Rafting & Tubing and Tambomachay. Get a sense of the local culture at Tipon and Mercado Central de San Pedro. Pamper yourself for a day on the 4th (Sat) at some of the top local wellness centers. Next up on the itinerary: identify plant and animal life at Santuario Animal de Cochahuasi and explore the ancient world of Q'enqo. To see where to stay, other places to visit, photos, and more tourist information, read Cusco travel planner. You can fly from Trujillo to Cusco in 4 hours. Other options are to drive; or take a bus. Plan for colder nights when traveling from Trujillo in August since evenings lows in Cusco dip to 2°C. Wrap up your sightseeing on the 6th (Mon) early enough to travel to Arequipa. On the 6th (Mon), get impressive views of El Misti, contemplate the long history of Yanahuara, and then contemplate the long history of Historic Centre of Arequipa. To find other places to visit, traveler tips, where to stay, and tourist information, read Arequipa vacation planner. Fly from Cusco to Arequipa in 1.5 hours. Alternatively, you can drive; or take a bus. 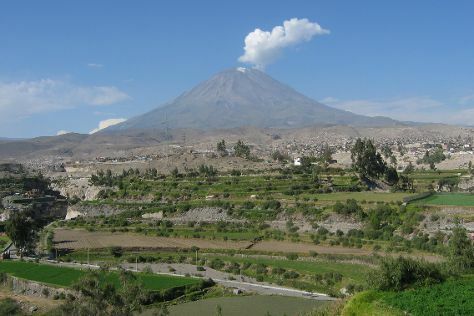 Expect a bit warmer evenings in Arequipa when traveling from Cusco in August, with lows around 9°C. On the 7th (Tue), you'll have the morning to explore before heading back home.